April 19th begins the observation of Passover, an 8-day Spring celebration of the freedom of the Jewish people from slavery in Egypt. Through certain rituals, modern-day Jews have the ability to relive and experience the true freedom their ancestors gained. From the evening of April 19th through the evening of April 27th, in recognition of the unleavened bread that the Israelites ate when they left Egypt, Jews do not eat – or keep in their possession – any chametz, or grains that can become chametz. This includes any food or drinks that contain even a trace of wheat, barley, rye, oats, spelt or their derivatives. 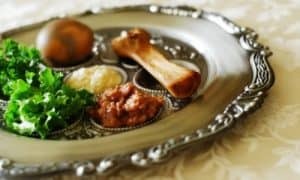 Because cats are family members, sharing our homes and mealtimes, joining us in celebrations, and because Jews cannot be in possession of these grains during Passover, we’ve compiled this list of Passover-approved cat foods that are highly recommended for quality, healthfulness, and taste. Please note. There are many other cat foods that do not contain chametz in them. This is the only HEALTHY Kosher For Passover list. We have eliminated companies with a history of recalls or products that include corn – which although permitted in cat food on Passover – is actually bad for your cats. Please note that Evangers Pet Food offers products manufactured under Rabbinic Supervision. However, with their history of recalls and FDA Warnings, we cannot recommend you feed your pets Evangers foods at this time. 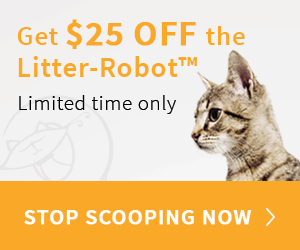 Don’t forget to find grain-free treats for your furriest family members, too! Great options are Halo Live-a-Littles Treats in chicken, beef and salmon varieties or Wellness Kittles Grain Free Crunchy Treats in salmon, chicken, or tuna. Q. Are “grain-free” pet foods acceptable? 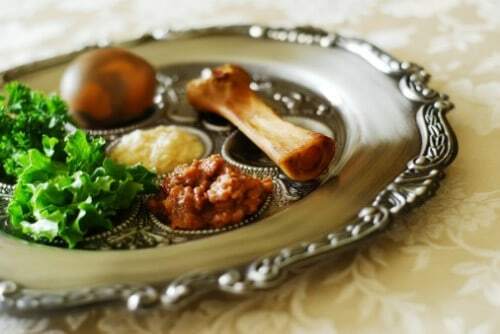 We wish all of our Jewish friends a Happy (and Kosher) Passover.